VBS Simulation SDK allows developers and integrators to customize and extend VBS3 by providing a framework and suite of tools. 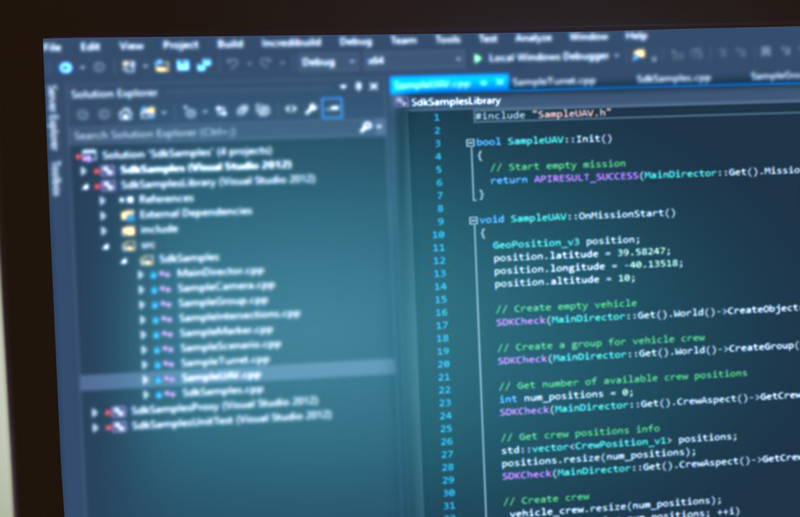 The VBS Simulation SDK includes a library of APIs and source code allowing developers to customize virtually every aspect of VBS3 and produce custom applications. The APIs form a modular, C plug-in architecture that enable developers to integrate third-party technologies effectively and efficiently. 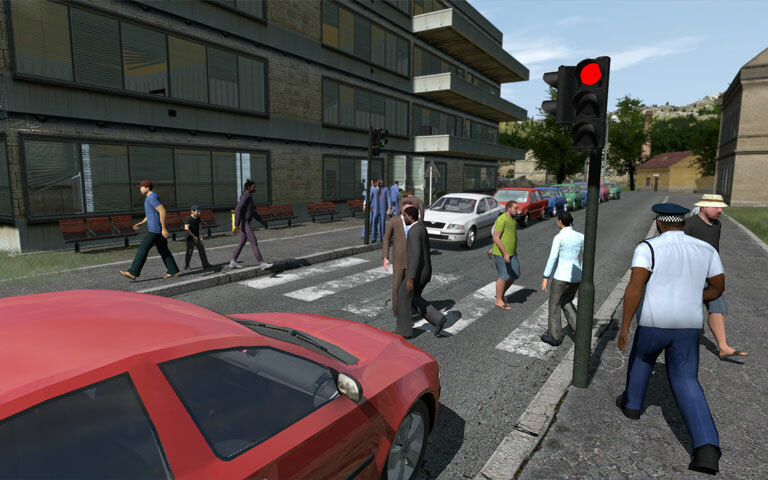 The VBS Simulation SDK includes a license of the VBS3 runtime, BISim’s game-based desktop simulation for tactical training and mission rehearsal, and by far the most widely used game-based simulation software among militaries today. It comes complete with offline and runtime editors, after-action review capability, a massive content library, developer tools, an easy-to-use interoperability gateway, and a built-in voice communications system. VBS3 meets hundreds of training use cases from individual warrior tasks to battle drills to large-scale collective exercises. Control the fight with VBS Control Editor, included with the VBS Simulation SDK. 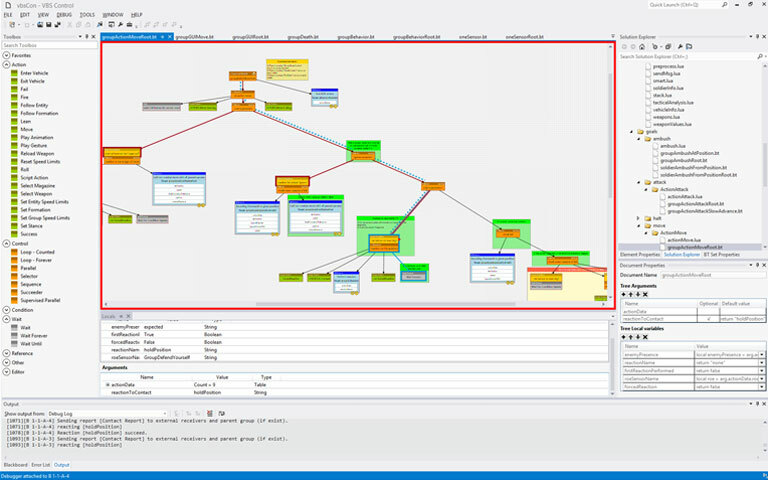 The VBS Control Editor provides a full set of AI development tools for VBS3, including a visual behavior tree editor and powerful live debugging tools. Using industry standard behavior trees and Lua scripting, users can create highly complex AI behaviors up to a full military doctrine. Included with VBS Simulation SDK is BISim’s new development environment Gears Studio Professional Edition, which streamlines the development of modular software products. 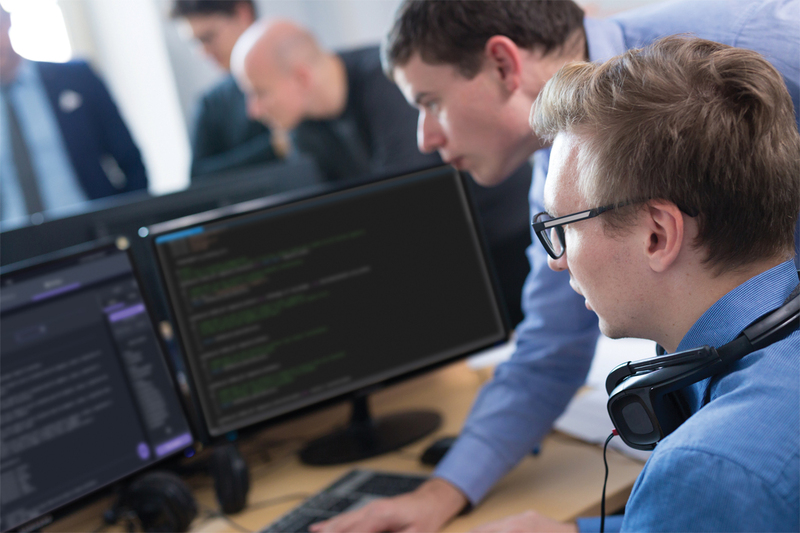 Gears Studio makes it easier for multiple developers or even multiple companies to develop software components independently of each other while still working on a single product. Leverage the Gears technology and develop in the same environment as BISim engineers.